We were very excited to learn that Walmart recently launched its baby registry to help Canadians get ready for a new baby on the way. To celebrate this amazing launch Walmart Canada is hosting a special event at the upper level of Walmart Square One in Mississauga. On Saturday January 17 from 11:15 to 2 pm parents-to-be, families and friends are invited to join a baby shower and learn more about Walmart Baby Registry and everything you need to be ready for the new arrival. 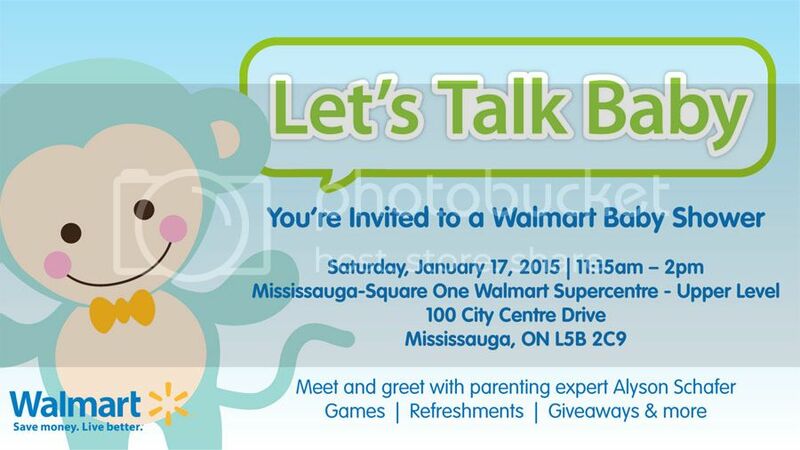 There will be games and refreshments* as well as a meet and greet with parenting expert, Alyson Schafer. It is an amazing opportunity to learn about Walmart Baby Registry and ask questions you may have about brands and baby products available in Walmart, assortment, safety items and helpful tips. See you there, hope you join the celebration! *Giveaways and refreshments are available while quantities last.